Sig's aliphatic resin adhesive. Much like white glue but stronger. In right thickness of glue application, I can work about 1/2 as fast as with CA glues. Excellent where a little bit of working time is required. A popular adhesive for those with CA allergies. FOAM SAFE, 2 oz. Container. Sigs aliphatic resin adhesive. Much like white glue but stronger. In right thickness of glue application, I can work about 1/2 as fast as with CA glues. Excellent where a little bit of working time is required. A popular adhesive for those with CA allergies. FOAM SAFE, 4 oz. Container. Sig's aliphatic resin adhesive. Much like white glue but stronger. In right thickness of glue application, I can work about 1/2 as fast as with CA glues. Excellent where a little bit of working time is required. A popular adhesive for those with CA allergies. FOAM SAFE, 8 oz. Container. Sig's aliphatic resin adhesive. Much like white glue but stronger. In right thickness of glue application, I can work about 1/2 as fast as with CA glues. Excellent where a little bit of working time is required. A popular adhesive for those with CA allergies. FOAM SAFE, 1 Pint Container. Liquid Resin Glue. It is strong, dries clear and is recommended for balsa to framework assembly, hardwood to balsa and hardwood to hardwood. 4 oz. container. Weldbond is a non-toxic, fume free adhesive formulated for smooth and porous surfaces alike. Bonds almost anything to anything. 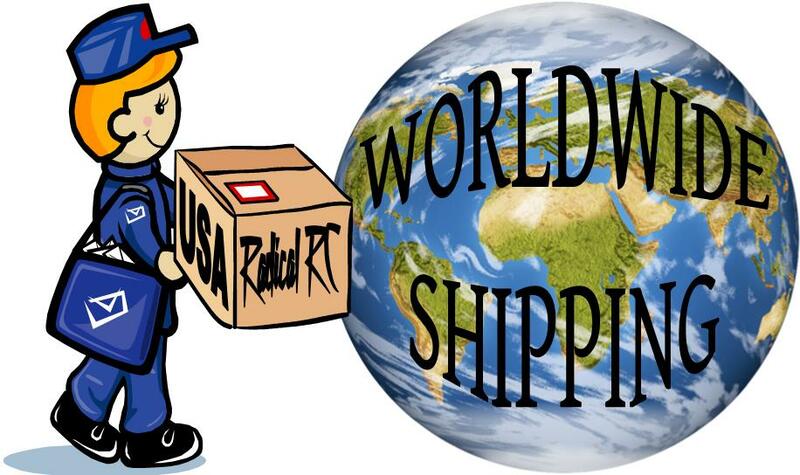 Weldbond is not flammable, non toxic, non staining and won't become brittle with age. It may be mixed with water to form a brushable sealer if so desired. 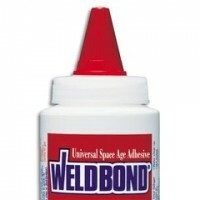 Weldbond is Foam Safe and works well with Depron, Poly-Styrene and other hobby foams. Joint remains slightly flexible which is desireable with Depron and other sheet foams. If your friends all think your models are bricks, this is the glue for you as it's also advertised as a great masonry adhesive. Many purposes, one adhesive. Liquid Resin Glue. It is strong, dries clear and is recommended for balsa to framework assembly, hardwood to balsa and hardwood to hardwood. 8 oz. container. Specially formulated for foam and also effective on wood, cork and Homasote board. Foam Tack Glue is high-tack, non-toxic and water soluble. It dries clear and flexible. Use as a contact cement whenever bonding two large surfaces. 12 fl oz (354mL). Instructions: Working time 15 minutes, cover surface to be glued, smooth surface adhesion may be improved by sanding before gluing. Permanent Adhesion: Apply glue evenly over both contact surfaces. Let dry until clear, then press surfaces together (max working time, 1 hour). Glue bonds instantly. We list this as a PVA because that it what it seems like from our senses. I am not certain on that classification. Some use it for foamy construction and thus our main thought in carrying this product. Pacer Formula '560' Canopy Glue, 2oz. 2 oz. 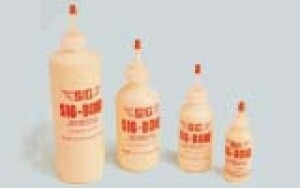 of World's Best Canopy Glue, Formula 560. Dries fast to a clear flexible finish. One bottle last years and years. Can also be used to glue foam. Great stuff! Sold out, temporarily out of stock, sorry!